Case IH tractors help you meet global demands for food production and Ernest Doe Power is here to help you select the right model and back it with service and parts support. As Case IH dealers in East Anglia and the South East, Ernest Doe Power is proud to be associated with today’s range of Case IH tractors which offer industry leading performance and reliability. The Case IH tractor range begins with the Farmall A which is designed for small acreage farms and horticultural enterprises. 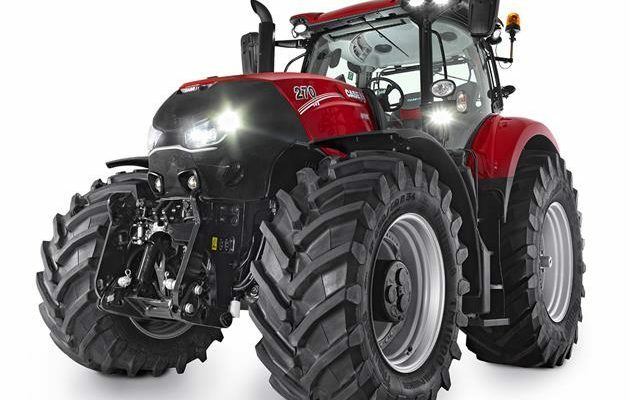 There is a full range of Case IH tractors up to the class leading Quadtrac which at 670hp can satisfy the demands of the largest farmers and contractors – and all are available from Ernest Doe Power. The bigger horsepower Case IH tractor engines employ selective catalytic reduction (SCR) technology which have cut emissions by 95% whilst increasing performance, fuel consumption and reliability. These engines rely on clean air intake only to optimise combustion efficiency and minimise particulate matter so that no particulate filter is needed. Massive performance, frugal operating costs: this is Case IH technology at its best.